India is a huge nation with vast history, and it is well known for its military power. Shaheedi Diwas is celebrated on March 23 for the death Anniversary of Sardar Bhagat Singh, Shivaram Rajguru, Sukhdev Thapar. This day is observed nationally as Martyr's Day. 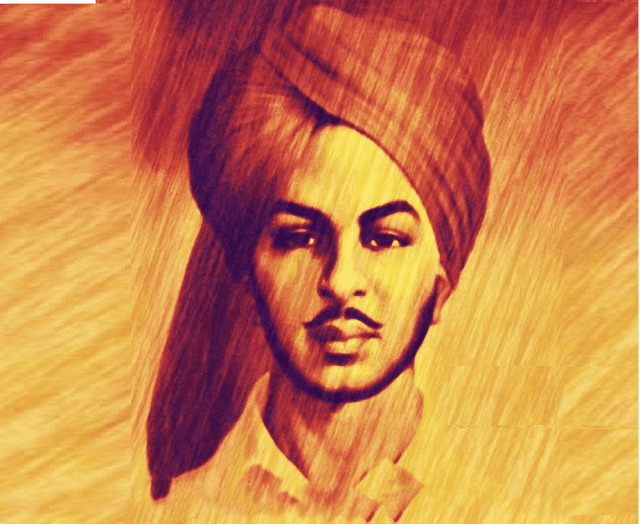 So I have posted some popular Shaheedi Diwas status messages for the Whatsapp and Facebook to motivate the Indians, what we are capable of. 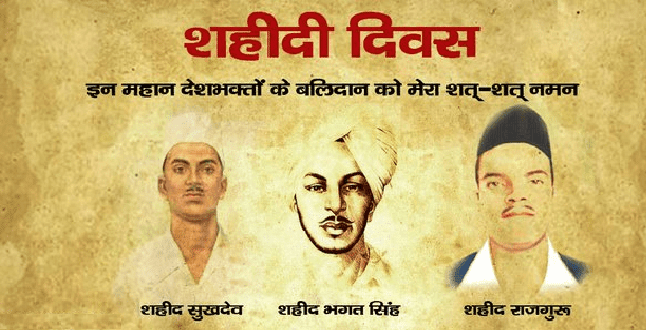 I hope you will enjoy these Best Shaheedi Divas messages in Hindi and don't forget to share them with your friends. प्रेमी, पागल और कवि एक ही चीज से बने होते हैं. 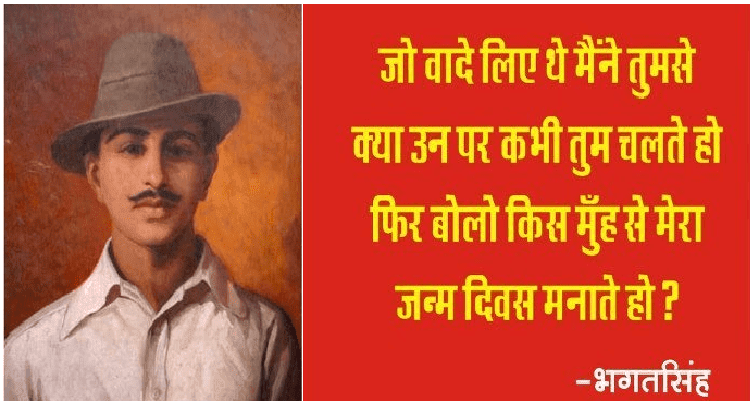 जिंदगी तो सिर्फ अपने कंधों पर जी जाती है, दूसरों के कंधे पर तो सिर्फ जनाजे उठाए जाते हैं.